Although we are based in the Cowichan Valley, we recently received some queries from the Courtenay / Comox area inquiring whether we offer Class 5 and Class 7 Driving Lessons in the Courtenay / Comox area. We put up a Facebook advertisement for the Courtenay / Comox area asking whether there was interest from area residents in taking lessons with us and we got some lesson bookings as a result of the Facebook advertisement. So West Coast Driver Training & Education Inc. will now be offering Class 5 and Class 7 lessons in Courtenay / Comox on Saturdays. We will look at whether there is any interest in Class 4 lessons in Courtenay / Comox and, if so, we will start offering Class 4 lessons in Courtenay / Comox on Saturdays as well. We will also start offering ERA lessons for seniors in Courtenay / Comox if there is interest in that. Our lesson rates for Class 5 and Class 7 lessons are definitely competitive with other Driving Schools in the Courtenay / Comox area. If you are a Courtenay / Comox area resident and you are interested in taking Class 5 or Class 7 Driving Lessons with West Coast Driver Training & Education Inc. could you please let us know by phone / text at 250-732-8093, by email at mark@WestCoastDriverTraining.com or through the dialog box at the bottom of this page. 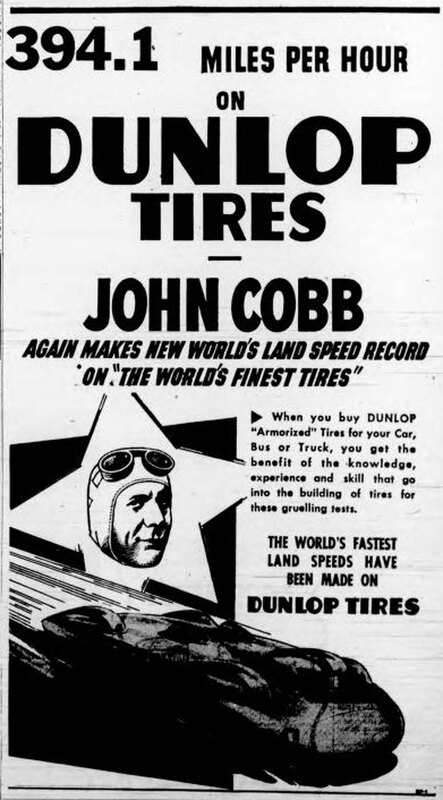 Here is a 1947 advertisement for Dunlop Tires featuring British racing driver John Rhodes Cobb (1899-1952), who set a world speed record of 394.1 miles per hour in 1947. This speed record was set at Bonneville Salt Flats in Utah on 16 September 1947 when John Cobb attained a speed of 385.645 miles per hour on the south bound run and a speed of 403.135 miles per hour on the north bound run. The mean speed of 394.196 miles per hour became the world speed record, breaking the previous record of 369.8 miles per hour which had been set at Bonneville by John Cobb in 1939. We came across this 1937 advertisement from Vancouver Island Coach Lines which, at that time, ran public transit routes in Victoria as well as inter city bus routes on Vancouver Island. Although we are based in the Cowichan Valley, we recently received some queries from the Courtenay / Comax area inquiring whether we offer Class 5 and Class 7 Driving Lessons in the Courtenay / Comox area. To date we have not been offering Driving Lessons in Courtenay / Comox but if there is sufficient interest we would definitely be willing to offer Class 5 and Class 7 Driving Lessons in Courtenay / Comox one day a week, perhaps on a Saturday or Sunday. We still have some lesson spaces available during the current School District 79 Spring Break, 11 March – 22 March 2019. If you would like to get started on driving lessons during Spring Break please give us a call or text at (250)732-8093 of through our Contact Us page. Have you ever thought of giving Driving Lessons as a gift for Birthdays, Christmas or other occasions? 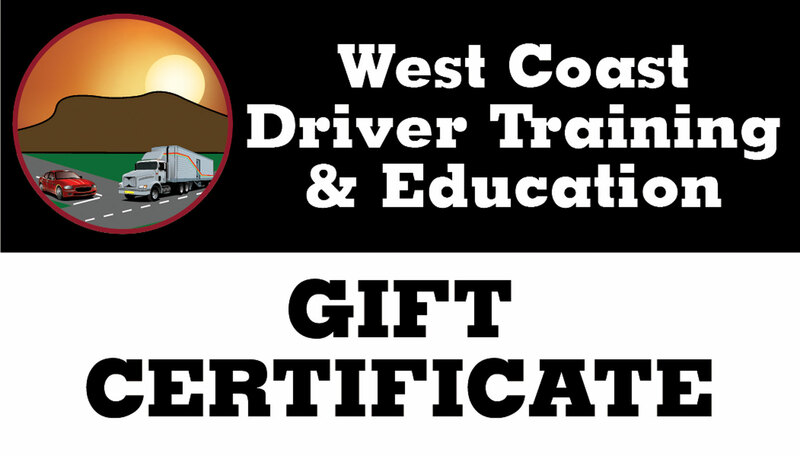 West Coast Driver Training & Education Inc. offers Gift Certificates. Smart Trucking is a YouTube channel we like. It is run by an experienced owner operator who has always some useful things to say. I came across this YouTube video of American commentator Glenn Beck talking about the Trucking Industry Crisis. This one is worth watching. It’s an American video but it applies to Canada too.